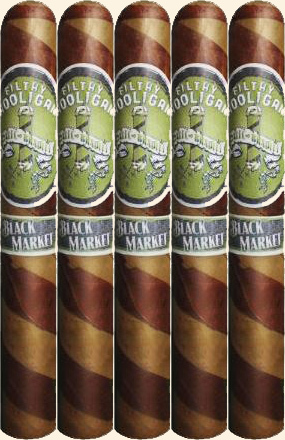 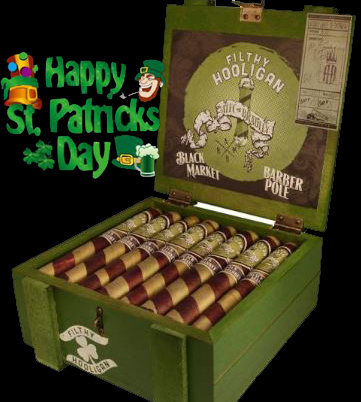 "Black Market Filthy Hooligan Barber Pole Cigars"
The Black Market Filthy Hooligan 2019 uses a triple AAA rated blending of aged Honduran and Panamanian long-fillers with a Sumatra binder, entwined in a mild/medium, fern-green Candela wrapper, contrasted by a richer tasting, chocolatey-dark Nicaraguan Jalapa wrapper. 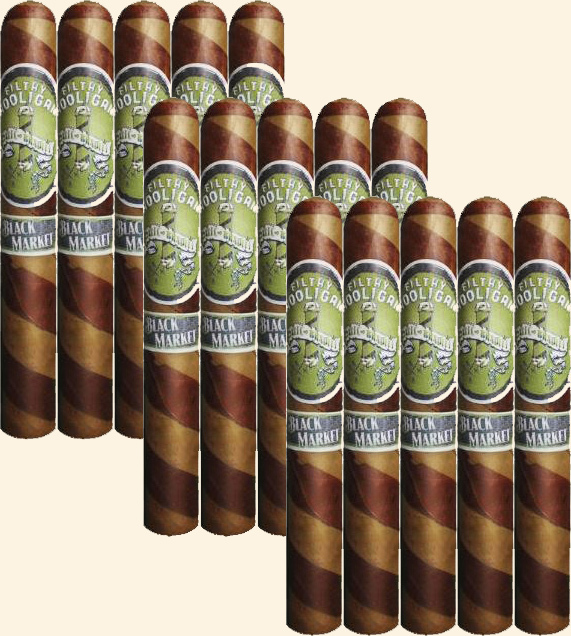 The mild/medium-bodied, full-flavored smoke explodes on the palate with sweet tobacco flavors countered by the brawnier core leaves, like a good Irish Stout. 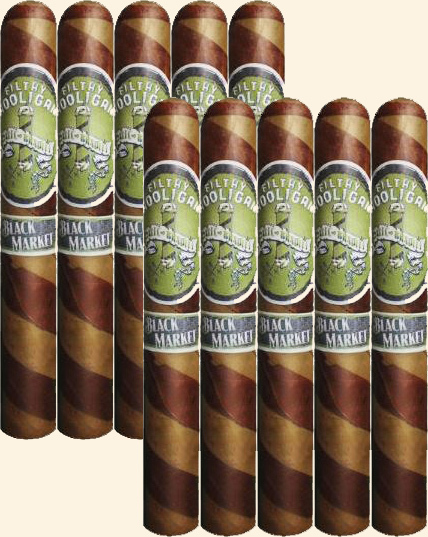 Available in Toro (6x50) only.